Sleep: An Untapped Powerhouse • Run Hard. Rest Well. Are you dragging? Tired? Limping? A single commitment might very well turn the tide. Watch this 4 ½ minute TED-Ed video. It might be the best 270 second investment of your entire week. Question: In your journey toward restorative sleep, what’s made the difference? Share your tips, tricks or sleep strategy. It’s easy. Just scroll down, share your thoughts and click “post comment”. Your tip might make the difference in someone’s life tonight! I wanted to help my teenage daughter be more disciplined in her bedtime, but it turned out to help me too! We agreed together how much sleep she and I each need. She then set the target for her bedtime and waking time, and I set mine. Then we made a chart. For three weeks we’re tracking what time we each go to bed, what time we wake up and if we feel well-rested when we wake. If we don’t feel well-rested when we wake up, we go to bed 15 minutes earlier that night. So far so good. We’re both getting the sleep we need and are feeling much better. Hopefully three weeks will be habit forming. I turns out I could see the problem in her life, but I needed the same help! Mutual accountability is always a winner! Kip – Win. Win. Win! I think a lot of us resist accountability — but it is a powerful thing when it’s a grace-based plan for vibrancy . . . in all kinds of areas in our lives. I have been partnering with a Life Coach (for the first time) and it has been a great blessing to see traction and gain in areas where on my own, I’ve only been spinning my wheels. Your “tip” makes me grin! This was very good. Lately I can’t seem to get enough sleep. Even though I sleep much better, I still feel groggy when I awaken. I often get 12 hours of sleep because I just can’t wake up. I wonder if my body is trying to recoup the missed sleep from a while back. I wear a cpap mask due to mild sleep apnea. This is a mystery. hummmm. Your body may be in “sleep catch-up mode” or you still may not be getting enough *restorative* sleep. I’ll try to wrap my mind around that . . . and see if I come across anything! During the day, what’s your energy level? Low. Slow and slower. Sometimes I can accomplish some things, other days all I want to do is fall back asleep. I wonder if you would benefit from another sleep study. 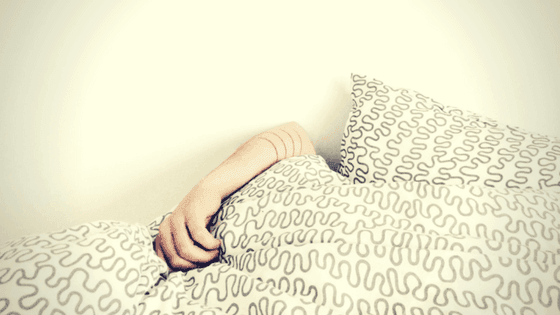 It sounds like you may not be getting restorative sleep. Will be praying! How do I view the video? Hi Judy – Click on the portion of the email that says, “TED-ED video.” (It should be in purple or blue.) Clicking on that, should take you to a website with a screen. Click on the side-ways triangle on the screen. If this does not work, let me know and we’ll try Plan C.
It isn’t in purple or blue. Hi Judy — I am so sorry you are having problems. Do you receive the “blog” / devotion reflections through email or on facebook? Try this . . . https://valleysleepcenter.com/what-happens-to-your-brain-when-you-dont-get-enough-sleep/ Either click or cut and paste it into your browser. Let me know if this does not work! 1. Go to bed at a predetermined time each evening that allows me time for 7-8 hours of sleep..
2. Get 30-45 minutes of physical exercise 4-5 times a week. 3. Don’t eat or snack shortly before going to bed. Avoid caffeine after mid-afternoon. 4. Spend a half hour or so reading right before going to bed. That allows my mind to slow down; and I also get to enjoy going to sleep thinking about what I just read. Kim – Thank you for sharing these “spot on” disciplines. Our habits make us … and break us. These are “making you” strong, healthy and refreshed!